SUPER warm 800+ fill goose down bag. I've had it in -30 with only base layers on. Size Long, left hand zip. Lofts up huge but packs down to about soccer ball size in the compression sack (sea-to-sky eVent sack, bought separately worth $55). Always stored in the cotton storage sack. Used less than 10 times total, I just don't go winter camping enough to justify keeping it. 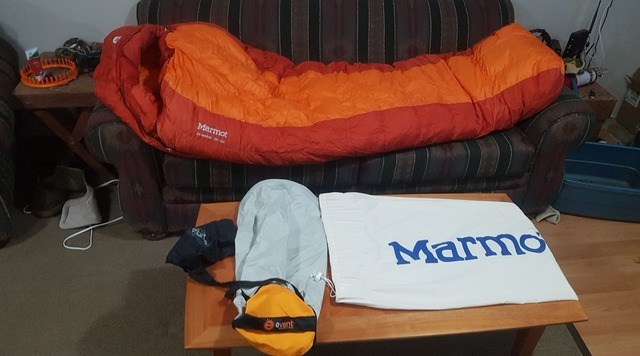 sleeping bag and compression sack worth over $900 new, asking $550.